Doesn’t that sound fab for a sweet treat? The proof is in the…tea. Each sweet lollipop has herbal tea and made from great ingredients we adults are OK with. The taste is nice, not like the usual too sweet lollipop and has a hint of spice. I’m not sure it slowed me down at all during NYFW as it is a long lasting pop, but I did enjoy stopping to taste the sweetness – at least between the kiss kiss hellos! Try em. 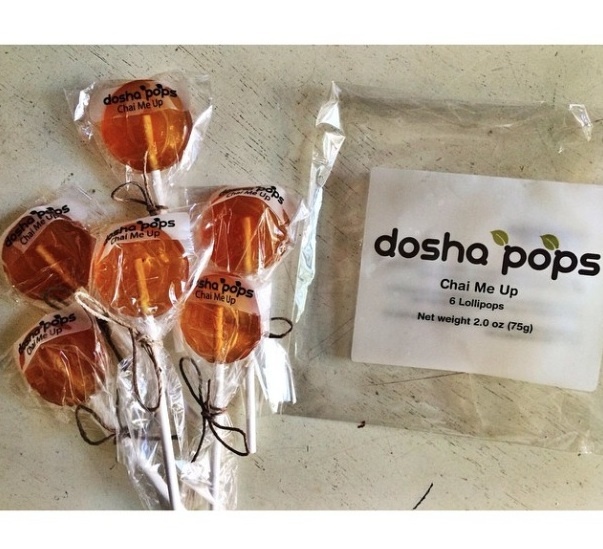 DOSHA pops so good written by Brigitte Segura.